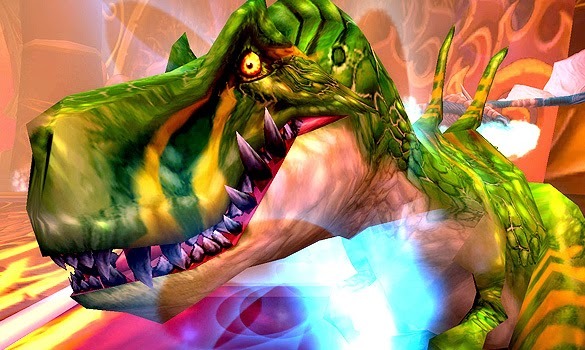 POWERSAURUS, aka King Krush, has always been one of my favorite hunter pets. I'm diehard Beast Mastery, and is there anything more iconic BM than a freaking devilsaur? 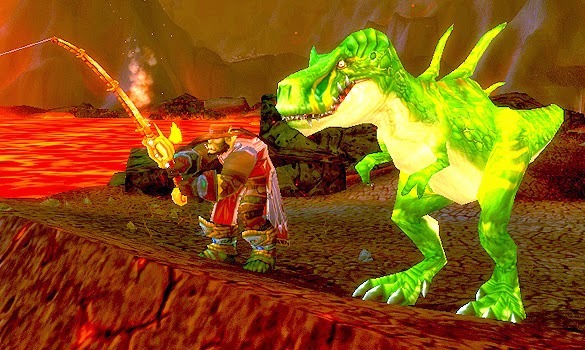 And Krush, with his unique green skin, and (back in Wrath, at least) incredibly rare appearance and difficult tame, was truly the trophy tame for BM hunters. I still remember where the name came from. We were talking about Power Auras and someone said that'd be a great name for Krush, Power SAURAS. In all caps, of course. 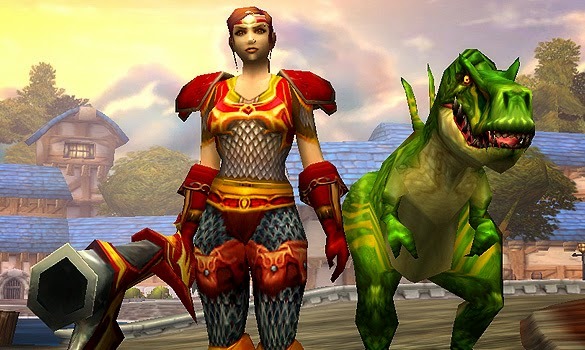 When I leveled up my Alliance hunter, one of the first things I did upon hitting 85 was park myself over in Sholazar and get a POWERSAURUS blue-side, too. Anyway, long story short, I love POWERSAURUS. A year or so ago when I was joining tumblr, I was stuck on a name. Rades was taken, and I felt orcisharmyknife was too long. So after a few minutes of deliberation, I went with POWERSAURUS. Naturally, I thought this was hilarious, and immediately shared it around and followed it. 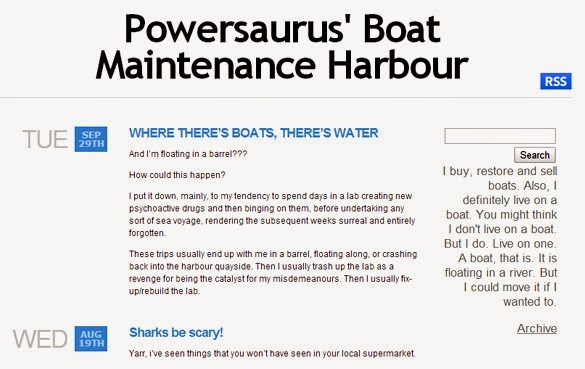 I found it immensely amusing to picture POWERSAURUS the devilsaur ranting and raving about boats in his spare time. Sadly, the author hadn't made a new post in over a year, so I didn't expect much else from it. I checked back every few months just to make sure, but nope, nothing. Last week, out of NOWHERE, I was shocked to see A NEW POWERSAURUS TUMBLR POST. I was excited to see what new boat musings my devilsaur had. 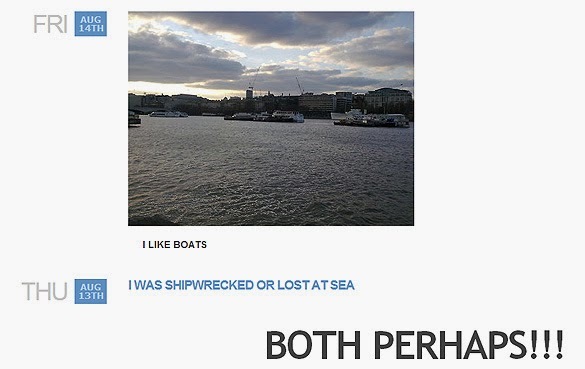 But it was even better than boat musings. It was AN ANNOUNCEMENT OF A GAME POWERSAURUS HAD CREATED. I'm not joking. Check out these screenshots. 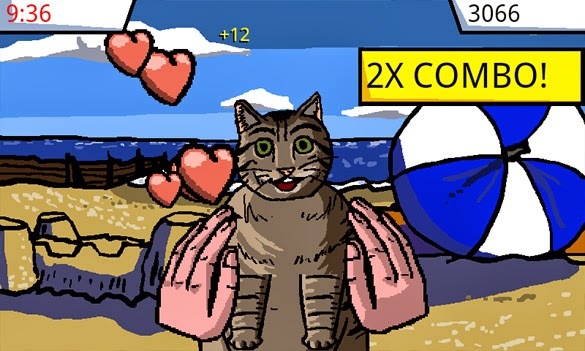 It's a touchscreen device game where you hug cats. Different types of cat. Sometimes the cats have top hats. Sometimes you have to high-five the cats. Reeling, wondering if I had gone mad, I started to google this game, and found a different blog where POWERSAURUS (going by the pseudonym "Ben Jones") wrote about the early goals for the game. 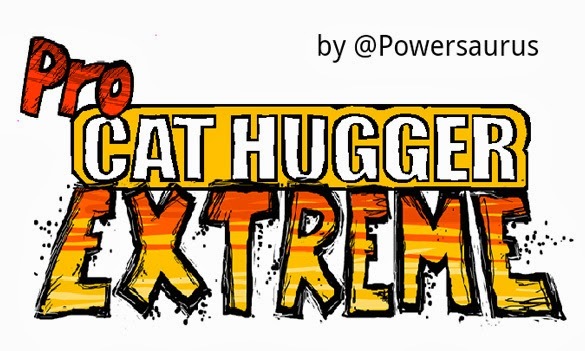 "For now though, I am making Pro Cat Hugger Extreme. 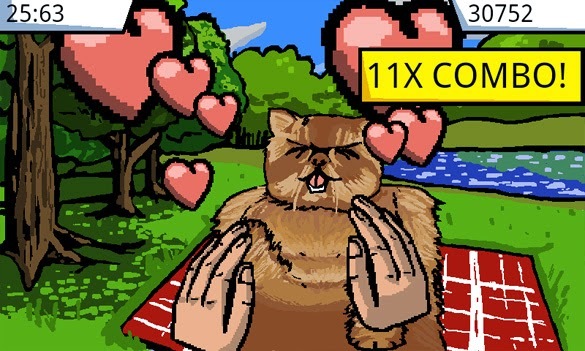 It’s a game for people who want to hug hundreds of cats in quick succession. 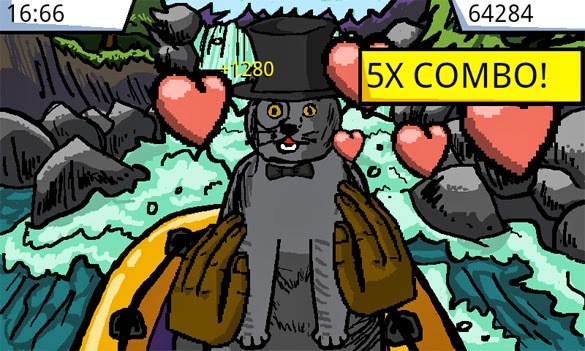 Cats of different breeds, and usually with an outfit that makes them do strange things, or grant bonuses to aid in building a huge multiplier. You also get to high-five cats, which is when you really start scoring the big points." Sadly, the announcement erased the old Boat Maintenance tumblr blog posts, but that's okay. I think we'd all agree that being able to be a PRO CAT HUGGER (EXTREME) is a worthwhile tradeoff. Do yourself a favor and check out PCHE today, it's free and it's incredible. You can download it here, and you can follow POWERSAURUS on twitter at @powersaurus. Disclaimer: THIS REALLY ISN'T ME, I SWEAR. I honestly do not know this person, and really did find his tumblr, and now his game, completely by accident. The only connection we have is our love for hilarious dinosaur names. I earn nothing from this and he didn't ask me to do it, but how can I not support my favorite devilsaur? It really is a funny, cute game, too. This entry was posted on Monday, March 24, 2014 at 2:00 AM and is filed under miniposts,non-wow,silly. You can follow any responses to this entry through the RSS 2.0 feed. You can leave a response. Oh, thank you so much. I hope my daughter appreciates that I am installing it now on her android device while she is at school and blissfully unaware. I'm sure this will become her favorite game, ever! Wow, I had no idea that POWERSAURUS.tumblr wasn't one of your internet friends when I reblogged that and downloaded the game (haven't played it yet). You have been Leibster Nominated! I cried a little bit. This is TOO funny.